Christmas is a lovely time time of year! In this round up, we'd like to share with everyone a beautiful collection of 25 beautiful and hi-quality Xmas graphic vectors which are free to download for this amazing holiday season. You can create inspiring designs for flyers, Christmas cards, website templates specially for Christmas and New Year. 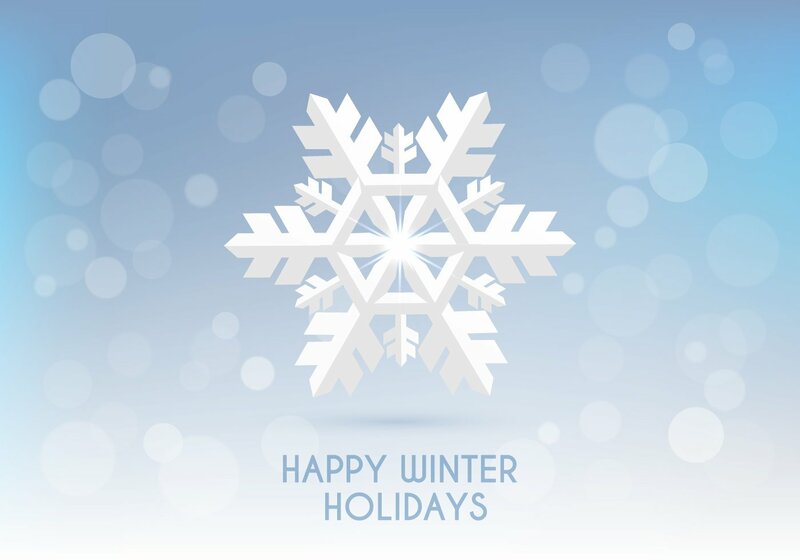 With the timeless image of a snowman with a Santa cap and a coal-studded grin, this graphic sends a fun holiday greeting with iconic imagery. The snowman sits in front of a winter background with bright flakes of snow floating down over a blue-and-white background. 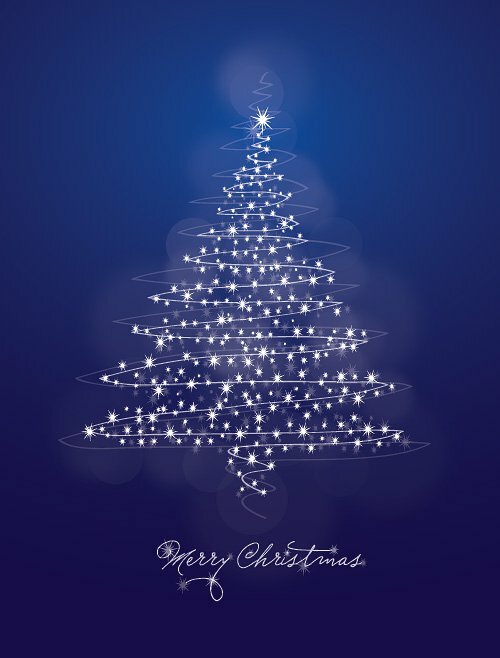 A flare draws attention to the image's text, which reads "Merry Christmas everyone" in casual lowercase lettering. The graphic uses an almost comic style with contemporary updates for a pleasing effect. It's designed as a greeting card, but it's perfect for any application that requires a lighthearted greeting. 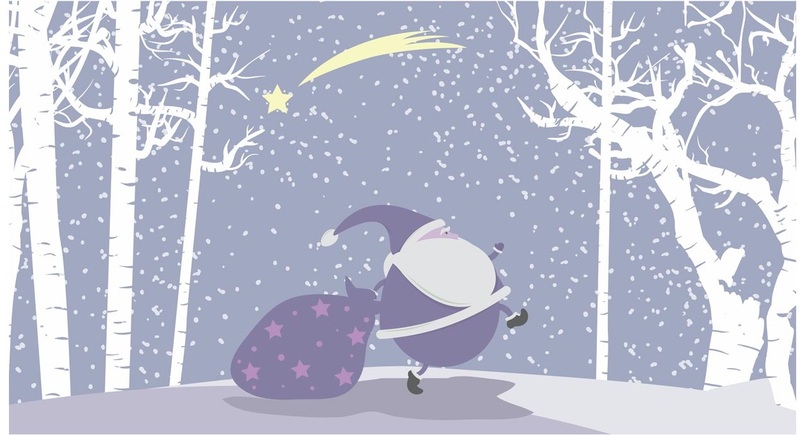 Enjoy this beautiful Christmas illustration with a running Santa. You can use the graphics as a Xmas background or greeting cards and gift certificates. This is birthday and Christmas vector footage of a present. Square box wrapped in colorful paper decorated with stars and ribbons tied in a big bow on the lid. 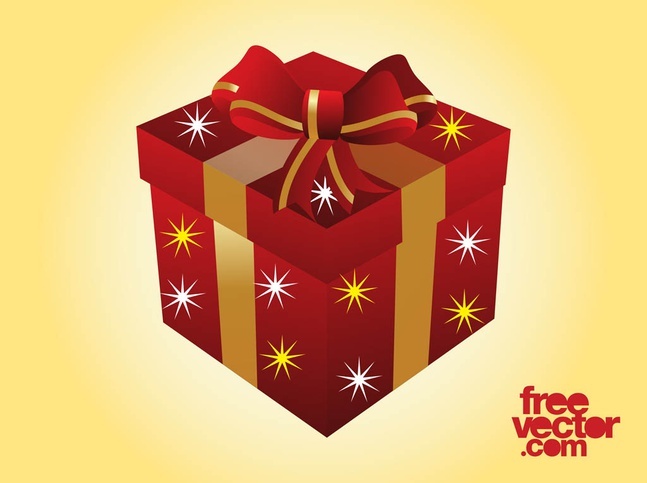 Free vector is great for gifts, presents, Christmas, birthdays, celebration and surprises visuals. Graphics can be used for greeting cards and party invitations. 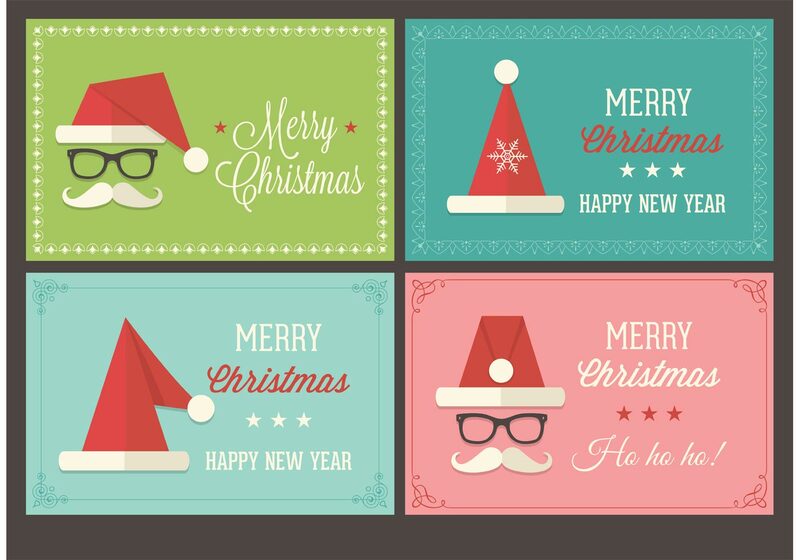 This set includes 4 vector retro Christmas cards with Santa caps. 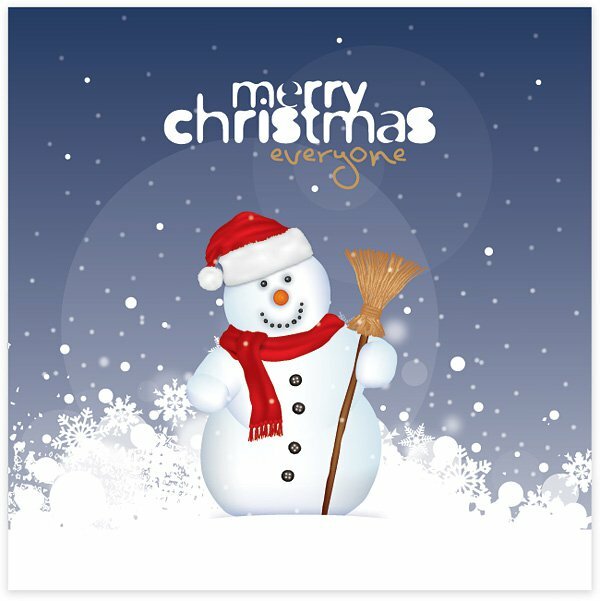 This is perfect free template that brings Xmas spirit to greeting cards and gift certificates. 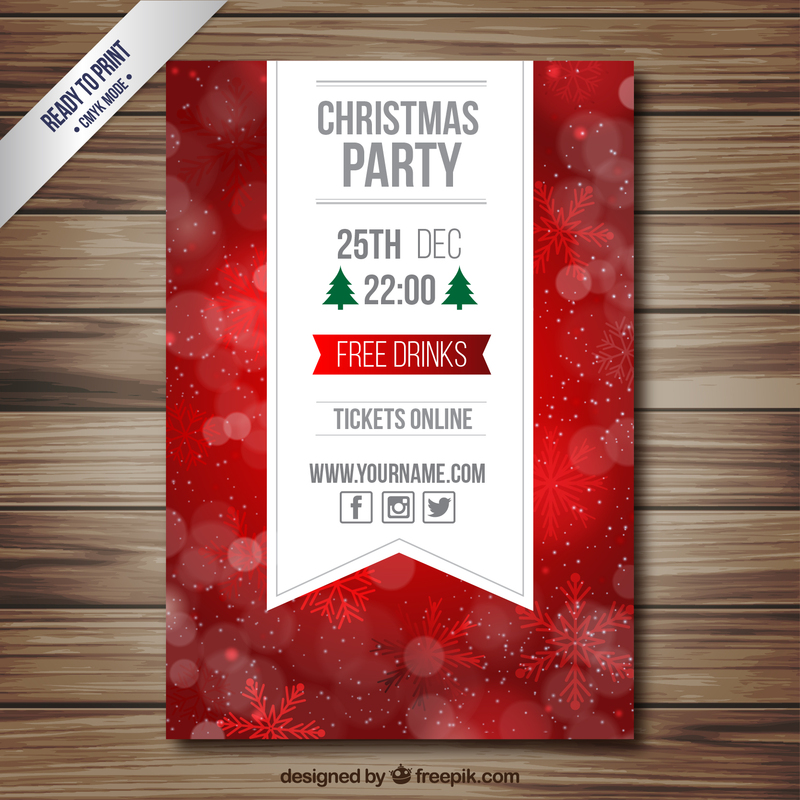 Finding an idea for your Xmas party cards or flyers? This Xmas flyer will be perfect choice for you. 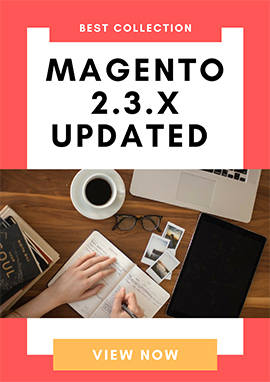 This set consists of AI files and fonts as well, you can easily make your own unique and beautiful real printed greeting card. 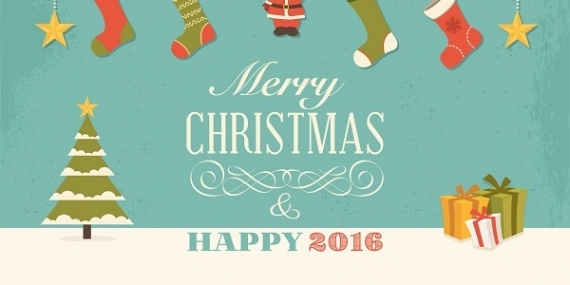 This set includes a variety of typographic Christmas elements and is perfect for the Christmas and New Year's cards. 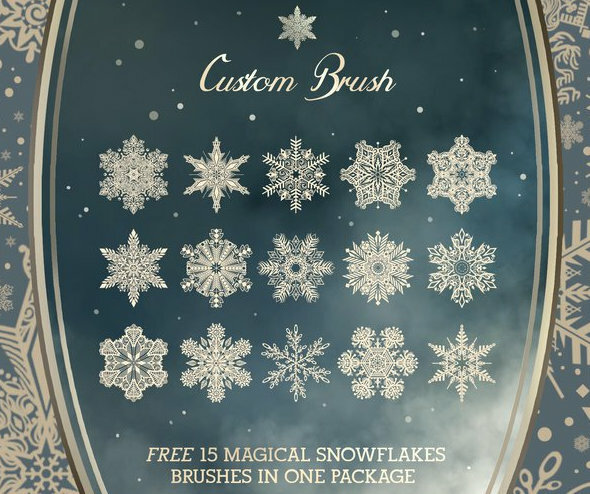 A set of 15 unique snowflakes saved as custom brush for easy overlaying on texture and backgrounds for your Christmas & winter holidays. 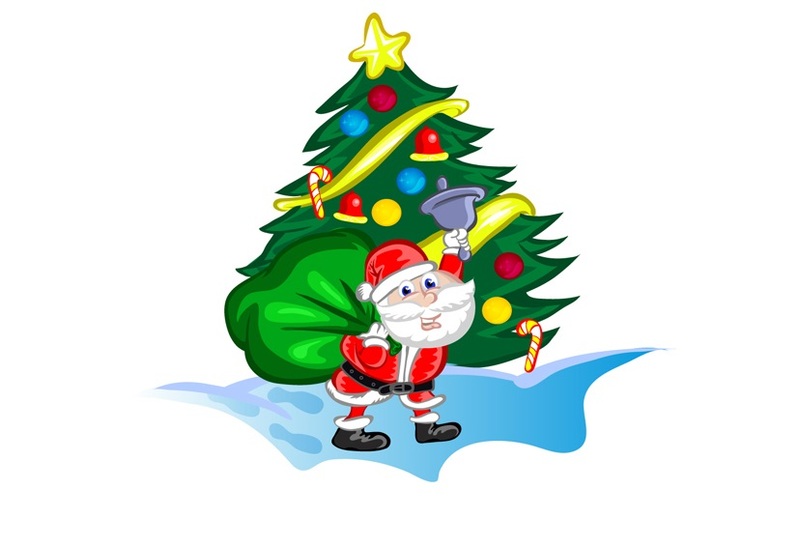 Various Christmas images in a vector style that includes an angel, candy cane, dove, gift, gingerbread man, lots of holly, Christmas lights and Holly borders (these can be linked together), "Merry Christmas", a few ornaments, a reindeer, santa, snowman, star, stocking, snowy swirls, and Christmas trees. 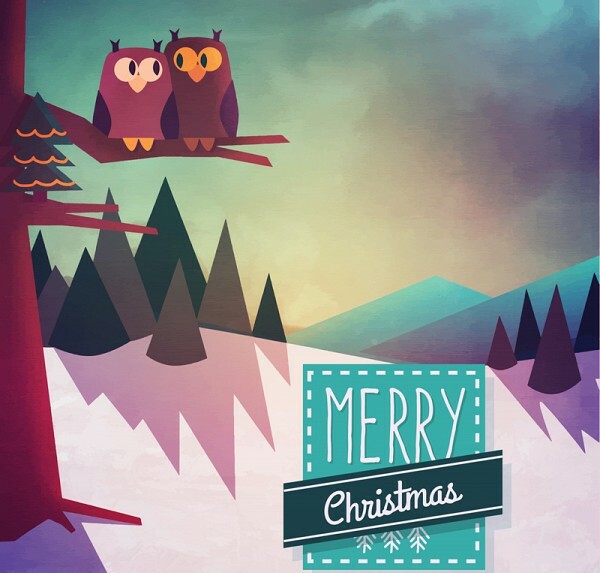 A stylized Christmas tree stands front-and-center on this engaging card. Bold white strokes trace across a swirling outline, and white stars fill out the contours brilliantly. The deep, royal blue of the background sets up an appealing contrast and makes the image seem to shine on the page. The balanced symmetry of the tree creates a sense of movement, while its controlled lines draw the viewer towards the base text. 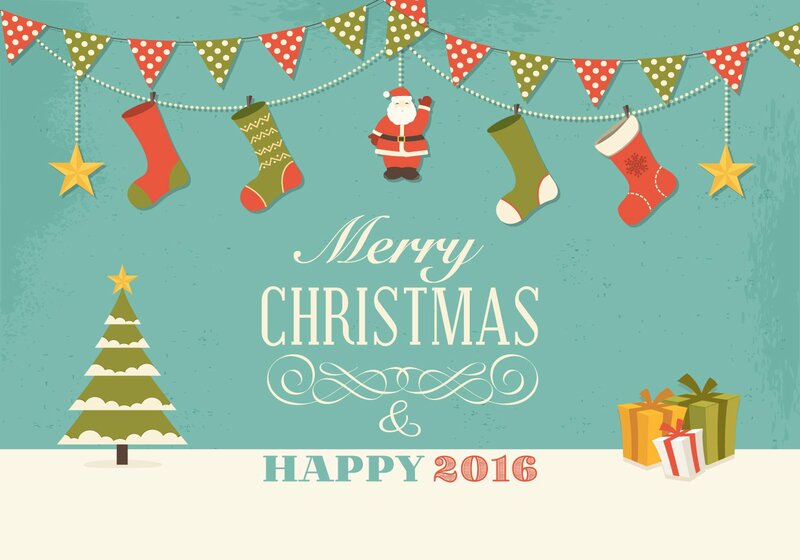 The words "Merry Christmas" are emblazoned in a frosty, glittering cursive. This versatile graphic is classy, elegant, and a gorgeous way to send holiday greetings to friends or family. 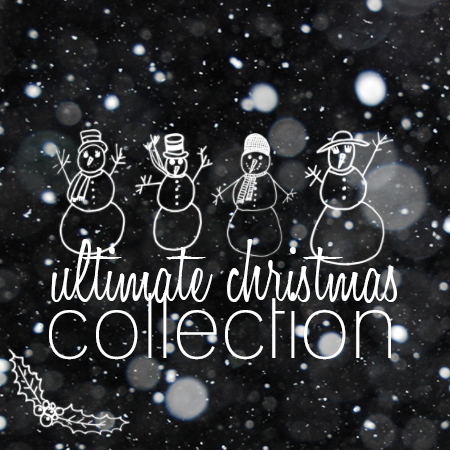 The ultimate Christmas collection includes 91 brushes of trees, reindeer, decorations, snowmen, stockings, mistletoe, hand drawn text etc. 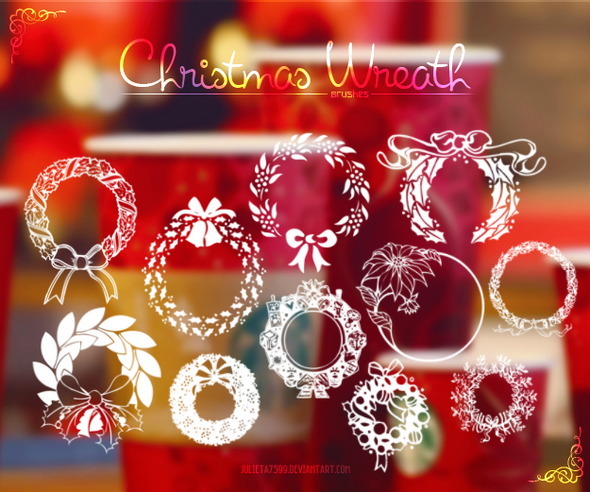 This cool Christmas pack contains 26 brushes thread / wreaths / garlands Christmas. 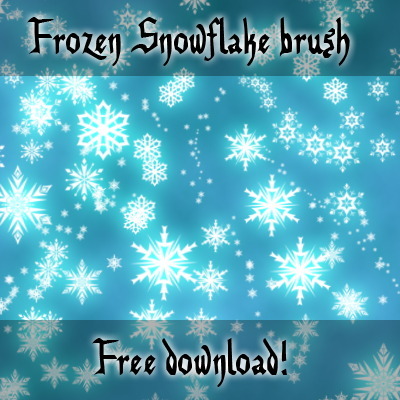 Do you like snowflakes in the new Disney movie Frozen? 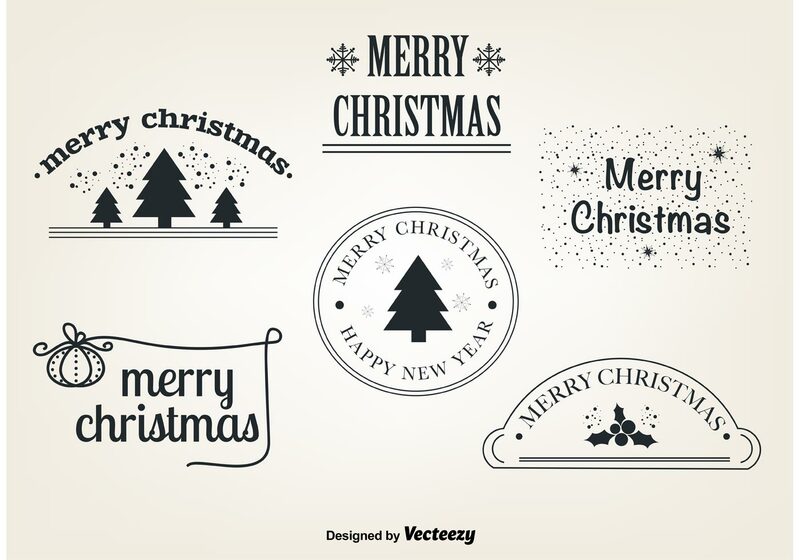 Download this set and make your festive designs more merry. This set includes triangle shaped trees for Christmas gift wrappers and cards. That time of year has come and you can surely make use of a such a wonderful Merry Christmas Background! 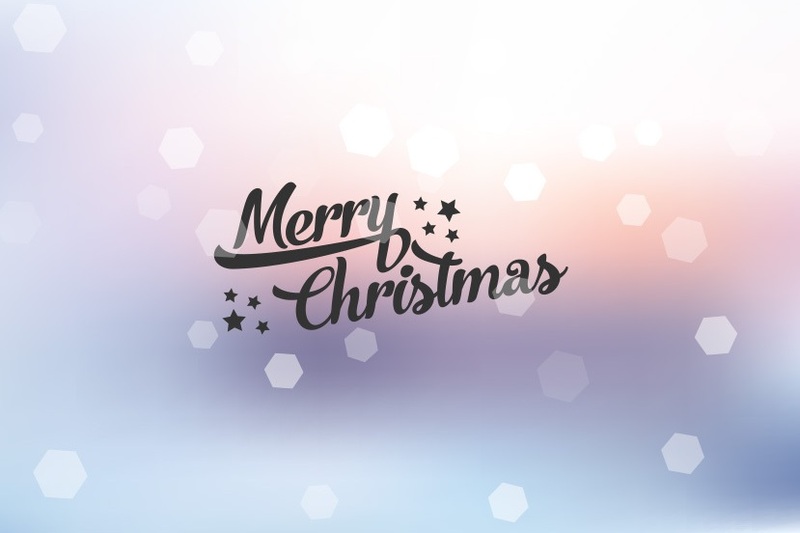 You can use this Merry Christmas Background vector for a wide range of projects and you can even break it down and use just a few elements. Hope you enjoy this Merry Christmas Background! 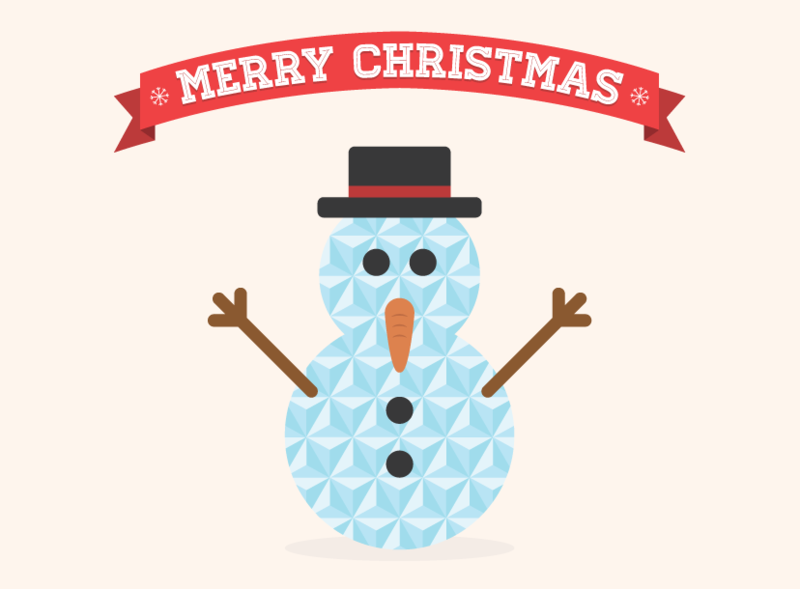 Here's a great new free vector Flat Geometric Minimalist Christmas Snowman for your seasonal Christmas designs or greeting cards. This is the classic Rudolph - the red nosed reindeer vector and you can use it in your Christmas projects. 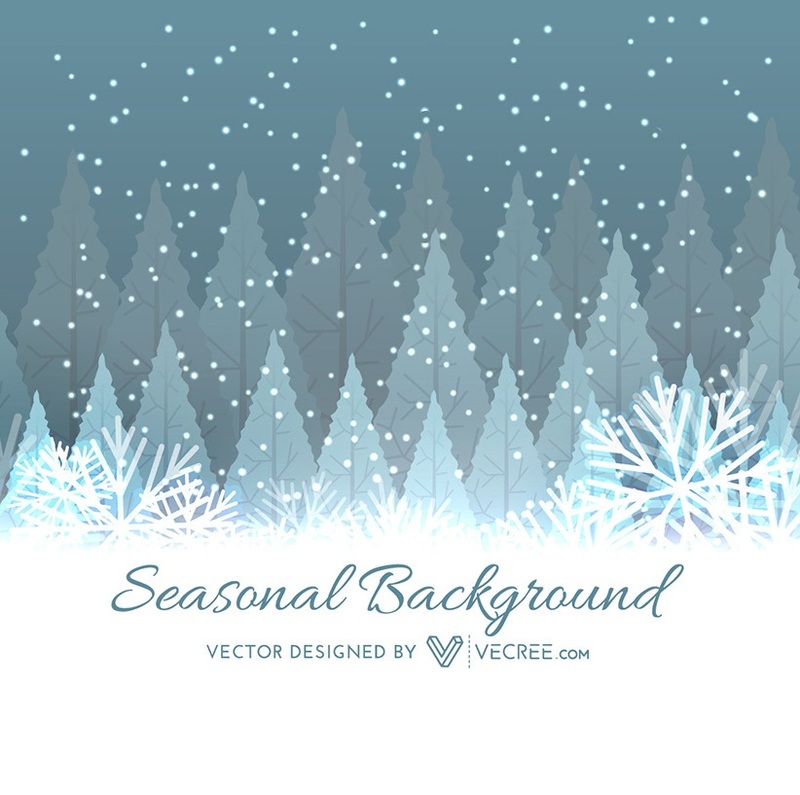 It's winter background with origami paper snowflake on blurred background. 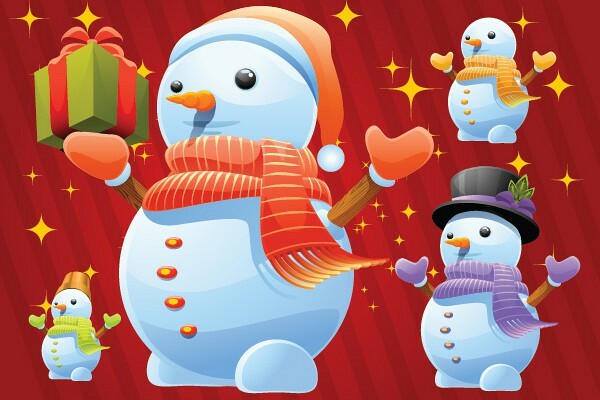 This winter holiday season wouldn't be complete without this awesome vector snowman. Several different variations, with scarfs, hats, cylinders and presents in a nicely 3D style. 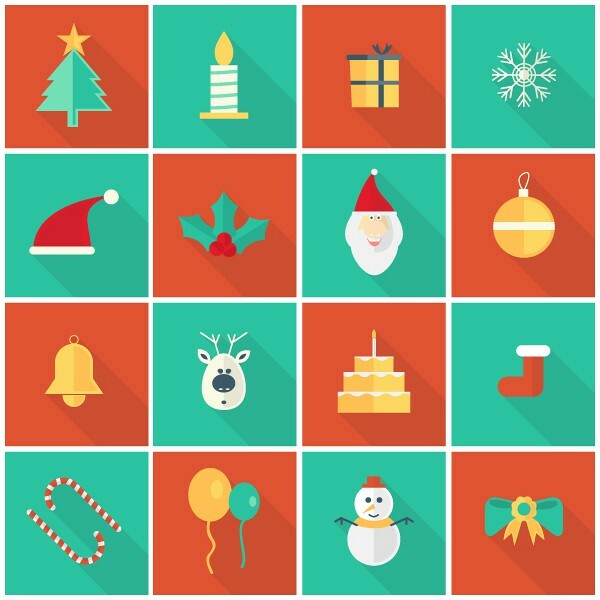 Flat design Christmas icon vectors, free for personal and commercial use. 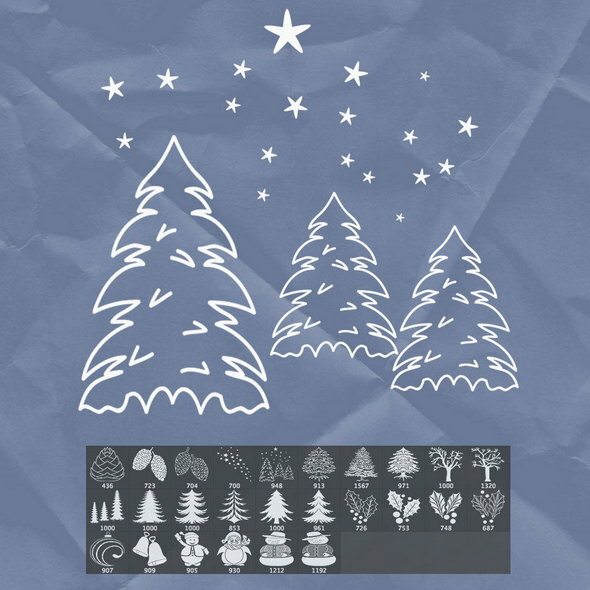 You can decorate websites, blogs with flat vector Christmas ornaments. This set consists high quality vector Christmas icons scale any size without the loss of resolution and includes Christmas tree, bell, Santa, Santa hat, Ribbon, Cake, Candy, Stocking and many more. 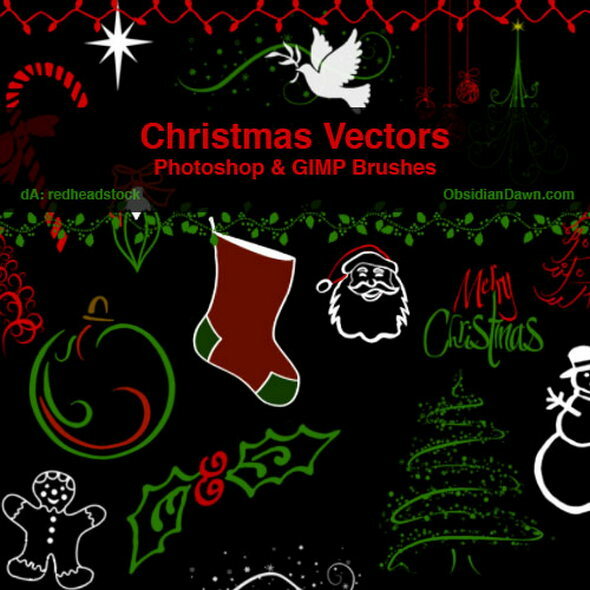 This is a highly detailed set of free vector Christmas icons, courtesy of VectorOpenStock, for you guys. There are only six icons in the set, but they are gorgeous. The icons come in AI format and you are free to use them in both your commercial and personal projects. Enjoy! 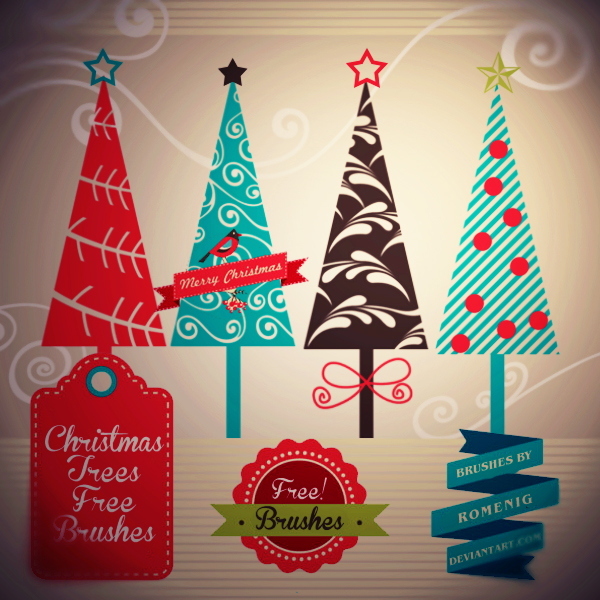 It's a great pack of 26 free Christmas brushes like: snowman, christmas tree, stars, sky, cones, twigs, bells.